Today’s story is about MI7 Plus, a financial risk platform created by a team of Romanians back in 2016. Their tool relies on artificial intelligence and has an algorithm that crunches data from various fields such as macroeconomics, geopolitics and commodities with a strong focus on the behavior patterns of large financial players. George Olteanu (31), founder and CEO of the MI7 Plus, created the company two years ago after working for more than 5 years as a web developer. As a graduate of the Faculty of Automatic Control and Computers within the Technical University in Cluj Napoca, he quickly got a job in the technology sector. Meanwhile, he got two master’s degrees in Advanced Process Control and Business Administration in Cluj Napoca and also got involved in forex trading. 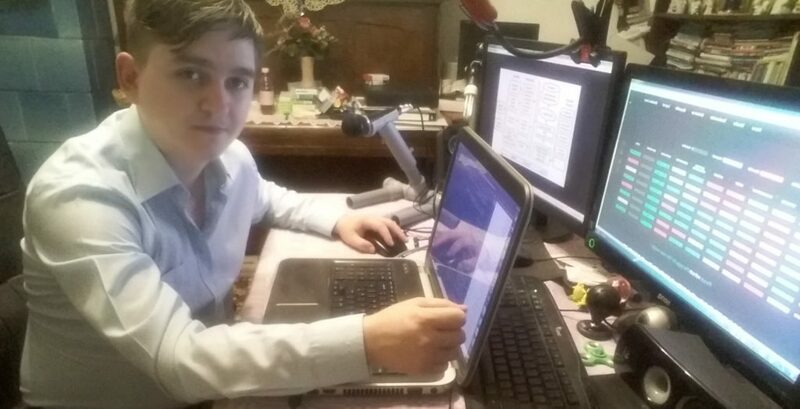 He dived deeper in the forex ecosystem and developed custom tools for traders. “I was drawn to the financial markets because they incorporate a lot of analysis that uses many different subjects like geopolitics, economy, human behaviour, statistics, etc. It keeps my thirst for knowledge thoroughly quenched. I noticed that any algorithms and methods of analysis based purely on price don’t perform well in the long run. I understood that this happens because most models based on price are made to fit a certain period, but they don’t reflect the nature of that market. I understood I was trying to predict future effect based on past effect, which is illogical,” says George. The next step was to start looking at the factors that actually made the price move one way or another. This is how he created a diagram that reflected all the factors influencing the forex market. “In that period, I was in touch with a Romanian Wall Street trader. I showed him my diagram, and he said: ‘OK! Let’s build a product and sell it!’” says the founder. Initially, the start-up had five co-founders and a partnership with the Wall Street trader. The team went through some changes and currently the core team has 3 people. 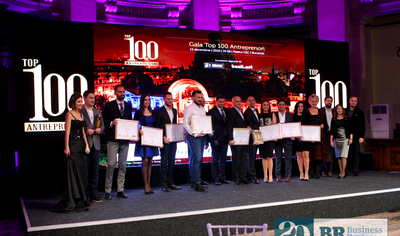 George’s team also included Cristina Bujita, who handles the website development, and Alexandru Bogdan, who is in charge of branding, design, geopolitics and general business strategy. As CEO, George is in charge of the business strategy and the research&development activity. “We settled initially to a partially latin derivative of market intelligence, marketintelligentia which is still my work email. We wanted it to reflect what we do, but … it was TOO LONG. My co-founder Alexandru Bogdan made the proposition for Mi7 PLUS that would suggest something related to British secret intelligence services. So ‘secret information’ and a PLUS to represent added value(and not to get into any naming infringements)… and it stuck with us!” he says. At first, MI7 Plus had a strategy for the B2C (business to consumer) model to target retail consumers in the forex market. However, the start-up shifted to B2B (business to business), looking for companies with interest in investing their own capital on the financial markets. The deeper focus is on the insurance subsector. George explains that the change of strategy was decided after talks with various accelerators, venture capital funds and angel investors. “We are still working out our market fit and are negotiating with potential clients. We know that Romanian clients are currently focusing their excess capital in growth, so we are shifting our focus to foreign, more developed markets,” he says. George says the goal is to have a product that is fully automated and this focus is also seen in the tools deployed up to now. MI7 Plus gathers data based on automated data scraping scripts from many government, public or private sources. “On that data we apply mathematical models and, in some cases, machine learning to get a final outlook on price. The final data is delivered in a very simple to use web interface accessed through a monthly subscription. The key thing to remember is that we offer a macro, long-term view on the markets and that doesn’t represent a guarantee of profit. We are not a buy now/sell now signal platform, but an ultra-simplified version of Bloomberg or maybe a second opinion,” says George. At present, the start-up is looking to finance and there are ongoing negotiations for EU funding. The team is also in touch with a network of angel investors. The start-up has a development path that includes the extension of the product to other asset classes of interest, like stocks, bonds and commodities. 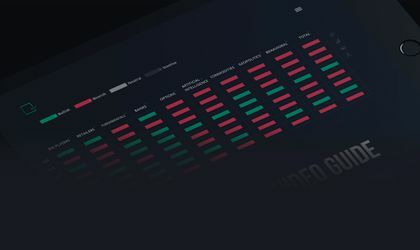 “The most innovative feature that we are incorporating into our product is based on a framework we are developing that is gathering text and numerical data from social media and news sources, applies automated translation and sentiment analysis on text to extract and compute a general sentiment score around a certain topic, that will tell you if the people and the media have a positive or negative outlook on that topic. Behavioral economics was for a long time on our to do list and I am very glad we finally gathered the knowledge to actually implement it,” says the founder. MI7 Plus also has plans to start a hedge fund. George this might take place only after the extended tool is finished and will use machine learning based on its processed data to create adaptive portfolios. “But this will probably happen further into the future, as our priority right now is to finish the extended tool and our priority for a long period of time will be sales,” says George.